Parasha Noach - Translation: "Comfort" or "Hidden Wisdom"
The energy of the 1st day of the Month of Cheshvan 5775 - This is known as Rosh Chodesh Bet Cheshvan which starts at sundown Friday tonight. This week is the 5th week of the year. "Elevate the World with the Tools of Kabbalah - Start with yourself!" Give thanks to HaShem with harp, sing praises unto Him with the instrument of ten strings. Hodu LaHaShem Bekinor Benaval Asur Zimru Lo. The Perek Shirah Midrash teaches that the Agur עגור sings this verse from Psalms. There is a machlochet if the Agur is the parrot or the crane. The crane is an interesting bird in that it sings as it flies with a sound like Gur-Gur. Also, it clatters the upper and lower part of its long beak together like the maracas musical instrument. It also has a somewhat unique dance of spreading its wings and leaping into the air. All in All the the lesson of the Agur is to be your own person / method of Praising HaShem. Use all of your Sefirot (the 10 strings from above) and your own unique gifts, values, desires, and essence to bring pleasure to the Creator. Good Luck this week in considering the changes you feel you need to do to walk / fly your own path. Rabbi Gamliel Ben Rabbi Yehudah HaNassi would say: "Beautiful is the study of Torah with the way of the world, for the toil of them both because the study of them both causes sin to be removed from the world." We are being taught here that there is no separation between study of the world including science and technology and how to earn a living in the modern society and study of Torah. It is all ONE. Of course, one can not study secular subjects without learning Torah as well. Thus one complements the other and more importantly allows one to understand the secular subjects through the lens of Torah. Without doing both with the mindset that one complements the other one will cause your negative actions to increase as well as your Torah study to be forgotten Chas V'Shalom. This Torah portion for this week is called Noach. It has some specific meanings from the Name which is Noach. Noach נח has the meaning of “rest” or “comfort.” The midrash teaches that when Adam was cursed to bring forth bread with the sweat of his brow he grew web-like connections between his fingers which made it more difficult to make tools and to harvest foodstuff. Another midrash teaches that Noach was named Noach since he was born without the above mentioned webbed fingers. Thus his grandfather Methusalach, the longest living human being, prophesized that Noach would bring “comfort” to mankind. A third midrash explains that this comfort was the invention of the plow which made it easier to harvest crops. The letters of Noach's Name when spelled in reverse – חן – Chen has the meaning of “grace,” favor, charm, beauty, loveliness, and “graciousness.” There is a deeper meaning to this Name when one realizes that the two letters make an acronym of Chet = Cochmah and Nun = Nestar. Chochmah means Wisdom and Nestar means Hidden or Concealed. Thus, a deeper meaning of this Name Noach is “concealed wisdom.” Let us start to reveal some of this deeper concealed wisdom. The essence of the energy being shared as a protection shield during this reading of the 153 Verses of the Parasha Noach is related to the Name Betzalel בצלאל. One translation of this Name Betzalel is to be “in the shadow of EL – HaShem.” Another meaning of Betzalel is “two shadows of HaShem.” These two shadows come from the meaning of the root צל. This word root means shade or shadow and shelter or protection. THAT IS WHAT WE RECEIVE FROM THIS READING – THE SHELTER OF THE HIDDEN WISDOM OF HASHEM. THIS IS THE MEANING OF THE CODE WORD “ARK” - PROTECTION. THE ZOHAR EXPLAINS THAT THIS ASPECT OF BEING AN ARK IS ONE OF THE ESSENCES OF THE SEFER ZOHAR ITSELF. IT PROTECTS EACH STUDENT OF KABBALAH FROM THE “BIRTHPAINS” OF MASHIACH. THIS PROTECTION BY THE ZOHAR IS PROPORTIONAL TO THE STRENGTH OF THE CERTAINTY THAT THE STUDENT HAS TO THE TRUTH OF THIS STATEMENT OF PROTECTION MADE BY THE ZOHAR. THE MORE ONE UTILIZES THE TOOLS OF KABBALAH ESPECIALLY THE READING / SCANNING / STUDY OF THE ZOHAR THE STRONGER ONE'S CERTAINTY BECOMES. On a deeper level of the hidden wisdom we receive the 7 Mitzvot of the Children of Noach. These are all negative Mitzvot as taught by our Sages. They include all of the 365 negative Mitzvot if a Child of Noach chooses to accept all of the Mitzvot. These same children of Noach can also choose to accept additional positive Mitzvot as well. The only Mitzvot that can not be accepted voluntarily by the Benai Noach is the positive Mitzvot dealing with the Kingship of Israel and The Priesthood of Israel. 1. Do not Worship Idols – This is the second of the Esser Debrot and also includes the meaning of Idol worship as defined by the Zohar. Do not accept a Command from anyone or anything including the Creator. 2. Do not blaspheme the Name(s) of God – This is the third Esser Debrot. 3. Do not Murder – This is the sixth Esser Debrot. 4. Do not commit Immoral Sexual Acts – This is the seventh Esser Debrot and applies to the teachings from the Zohar that it applies to Chapter 18 and 20 of the Book of Leviticus. 5. Do not Steal – This relates to many different levels of theft. 6. Do not Create UnFair Laws – This means that all courts should deal fairly with citizens and non-citizens alike. 7. Do not Eat Animals in a Cruel Manner or be Unnecessarily painful to the Animals. Most of the negative laws of Kashrut apply to this Mitzvah. This is not well known by the people and the Rabbis always concealed this to protect the Jewish nation from being attacked due to this issue impacts the livelihood of a great many people. Also, people care about their food and livelihood issues immensely and will defend this issue strenuously. The Kabbalists teach that these Mitzvot demonstrate HaShem's love for all of His children – all 73 Nations. 73 is the gematria of the word Wisdom or Chochmah. We usually refer to the 70 Nations; yet actually there are 72 including the Nation of Edom and Ishmael plus the only central column nation the Nation of Israel. Ultimately each person can choose to become part of the Nation of Israel or the Benai Noach Nation. This is the concealed wisdom of the Torah reading of Noach. There is one Positive Mitzvah given to the Benai Noach as well. It is the Mitzvah “to be fruitful and multiply.” People do not ask why there are two aspects to this Mitzvah. The Kabbalists explain that “Be Fruitful” applies to our physical world and “Multiply” applies to the Creation of spiritual souls when the woman is no longer able to bring children physically. These sexual relations relate to creation at the level of souls within the Sefirot. For every person the study of these Mitzvot that are called the Mitzvot of the Children of Noach is a very beneficial thing especially when it is connected to the study of the Zohar as well. May you all receive this connection to the Ark of Noach – The Zohar and the study of the Kabbalah tools each and every day. Please note the above sentence is a Blessing and when one hears / reads /realizes He or She is receiving a Blessing it is imperative to say AMEN. Please say Amen now! This will be links to the previous weekly emails for Noach as well as links to our Zohar pages for this Parasha. 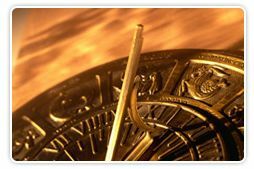 This section will be composed of the number of the day of the year, the number of the day of the month, and the number of the day of the week, as well as a relationship to certain animals and other information that will be helpful for that day's energy. Day Number of Year: 31 = לא: The number 31 a truly interesting energy. It is the gematria value of the Name of HaShem El - אל. This word also has the meaning of strength, mighty, power. This Hebrew word sometimes is translated not as a Name of HaShem but as the connecting word "to". This of course does not make sense to me. In reverse order the word becomes Lo which is translated asw no-thing; or not. An amazing gematria connection is made with the number 31 by the word Vayehi ויהי. This word translates as "And there was (shall be)...". You are all familiar with this idea from the beginning of Genesis / the Bible where it says "HaShem Spoke - Let there be Light" and the Torah says the phrase Vayehi Ohr. And there was light. This infinitive word of "to be implies Light was - is - and shall be. This connection helps to power the positive aspect of the day. This is also true due to the Holiday of Rosh Chodesh. Day Number of Month: 1 = א: The first of every month is Rosh Chodesh. Thsi means "Head of the Month". In Kabbalah the head includes everything that emanates after the Head. It is the day we take control of the month. It is always a positive day even with months that many people consider generally negative. The first day of the month is always a positive day. Day Number of Week: 7 = ז: On Shabbat Rosh Chodes we read the Parasha of Noach. The 7th Aliya as the 7th of anything has to do with manifestation. In this case the manifestation of unity in an inappropriate way. If we learn the lesson of the Tower of Babel then the unity that we create will be positive and the day will be intensely positive. If we do not learn this lesson than this Rosh Chodesh can be less positive. This is a very positive day as indicated above since it is considered the strongest positive energy day of the year. This is due to the idea of it being both the first day of Cheshvan and the semi-holiday of Rosh Chodesh. Followed by hair which aspects of both the body the net inner level and the clothing fibers. Inside the body we have three levels of components skin followed by ligaments and muscles followed by organs followed by the skeleton or bones. In the frame of the Sefirot and Worlds the outer most world is the physical. This is followed more internally by the Klipot which are not visible to us. This is followed more internally by the world of our bodies or the Malchut. Next moving internally the level / world is the world of Yetzirah which the world of emotions. Next comes the world of Mind or Intellect. Then the world of spirituality, until we reach the most internal aspect of the Keter which is called Essence. With this understanding of a metaphorical tube within a tube. We can understand that these tubes move relative to each other. Sometimes the Tiferet of the physical is outside of the Chesed of the Emotions and sometimes outside of the Yesod of the Emotions. This is just an example. On Rosh Chodesh the tubes move higher than they were the day before relative to the next inner world. This applies to all of the worlds. These movements are triggered by many sources including astrological and human activity. This whole discussion is a hint as to how to reach the consciousness of "mind over matter". We have added the additional one minute process to your daily connections as described above in the day section. Today we utilize the specific permutation of the Name of HaShem to take control of the month of Cheshvan. The permutation is יהוה which is expressed as Yo Hey Hey Wah. Please repeat this frequently during the two days of Rosh Chodesh. The Hebrew word for "Creation of Six is Beraisheet בראשית. It is good to say these letters with their root vowel while contemplating the many meanings and diversity built into this word. Our emails during Elul and Tishrai will help you to relate to these meanings. There are additional rituals and prayers added on Rosh Chodesh to take advantage of the higher relationships of the worlds described above. Some of them are adding the Halel and some other Psalms. It is also good to listen to the Torah Reading of the Maftir which is additional verses than the Parasha itself as is done on other Shabbats. וְאִי תֵימָא, לִישַׁנְהוֹן אַמַּאי אִתְבַּלְבֵּל. אֶלָּא, בְּגִין דְּכָלְהוֹן מְמַלְּלִין בִּלְשׁוֹן הַקּוֹדֶשׁ. הַהוּא לִישְׁנָא, קָא עָבִיד לוֹן סִיּוּעָא, בְּגִין, דִּבְעוֹבָדָא, וּבְמִלּוּלָא דְפוּמָא, תַּלְיָין מִלִּין אִלֵּין, לְאַדְבְּקָא כַּוָּונָה דְלִבָּא, וּבְדָא עָבְדֵי סִיּוּעָא לְהַהוּא אֲתַר, דְּבָעֵי לְאוֹקְמָא. We EYo Taymah LiShanhon AmaAi EtBalbale. Ehlah, Begine Dekalhon Memallin Bilshon HaKodesh. Hahu Leshnah, Kah ahvid Lon SiyuAh, Begine, DevOhvadah, Uvmelulah Defumah, Talyan milin, LeAdbekah KaVavNaH dELIBAH, uVDAH aVDAY SiyuAh Lehahu Atar, DevaAy LeOhkmah. And if you ask: Then why was their language confounded? The answer is, because they all spoke the holy language, they were able TO COMMAND THE SUPERNAL GRADES WITH OATHS. Achieving the right intention of the heart depends on actions and words. By THE POWER OF THEIR INTENTIONS, they strengthened and aided the establishment of the place. There is an important spiritual law revealed in this Pasook. When we achieve the right intentions, which includes the 4 levels of consciousness being in sync, we can direct the movement of all aspects of Creation. This includes keeping the Creation on track with the Plan of Creation. It includes growing the Creation so tha HaShem has a larger vessel to reveal himself within. Learn this truth well. YOU HAVE BEEN CREATED TO BE THE CONTROLLER OF THE WORLDS.